A new puppy at home can be both exciting and overwhelming … but there’s far more to it than just training him to sit and stay and do his business outside. Raising a puppy to be a healthy adult dog is really important, especially in the first few months. What are the most important things you should be doing? Surf the web and you’ll find a million different answers to a million different questions: What should you be feeding? How much exercise should your pup be getting? Should you be vaccinating and how often? These are common questions most new puppy owners have, so here are some tips to make the process of raising a puppy easier (and healthier)! We all want our new puppies to be protected from infectious disease, but it’s important to know that vaccines can be just as harmful to your dog and can cause a wide range of health problems, from minor fever to respiratory diseases to cancer. The average puppy is vaccinated with parvo, distemper, hepatitis and parainfluenza. Many vets recommend the first set at 8 weeks then 1 or 2 boosters in the weeks that follow. If you have the ability, skip this schedule and vaccinate once at 16 weeks, then don’t do it again. Why? Vaccines work by introducing the disease to your dog’s immune system. It’s the disease on a very low level, but the disease nonetheless. These disease cells force the body to recognize invaders and put up a fight. However, your dog can actually build up a natural immunity that’s just as strong (or stronger) without the vaccines. If you do opt for a minimal vaccine schedule, be careful about where you take him until he’s 16 weeks, just like you would a vaccinated puppy. Besides, he might be safer this way because vaccines suppress the immune system for at least 10 days afterward, making your puppy potentially MORE likely to pick up disease from puppy class or the dog park. If your new puppy is already vaccinated when you get him, titer test BEFORE doing another vaccine. You might be surprised to see he’s already protected. If you take him to the vet, carry him in and out and ask for the first appointment of the day when everything is clean and safest. You don’t want the appointment after they see a puppy with parvo or in the evening when all the day’s germs are floating around. Titer testing uses the IgG class of immunoglobulin antibody measure antibody levels in the blood and show if there are protective levels of the antibody against the virus in your dog’s body. TiterCHEK offers testing for distemper and parvovirus with results shown as positive or negative. VacciCheck offers testing for adenovirus, distemper and parvovirus with results shown as negative, low positive, significant positive or high positive. Many clinics offer these tests in-house, but if your vet doesn’t, you can coordinate with your vet and use Hemopet. If your puppy has already been vaccinated, you can give him a supplement that’s designed to combat the effects of vaccination. This will help his immune system recover and help stop any adverse reactions if possible. Why? There are several reasons, so I figured I’d lay them out one by one. Reason #1 Commercial kibble is full of mycotoxins. Mycotoxins are toxic substances that are produced by fungus, and if your pet’s food contains corn, wheat or barley the processing, transporting and storage of the food can cause mold to grow at alarming rates and these toxins to develop. These toxins, aflatoxin being the most common, can cause everything from digestive upset to cancer. Reason #2: Dry kibble can put stress on your puppy’s (or any dog’s) kidneys because they draw water from the body and can cause dehydration. Reason #3: The starchy carbs cause allergies, spikes in blood sugar, digestive problems … the list goes on. Reason #4: A nutrient rich raw diet is great for healthy teeth, bones, skin and coat. It provides the vitamins that promote healthy growth. Reason #5: It’s common for commercial kibble to sit in a warehouse or on the shelf at the store for months before it’s sold. This makes preservatives crucial in the manufacturing process, and that means your dog’s food is not fresh, at all. Kibble is actually dead food. It has no live enzymes due to the industrial cooking processes so synthetic supplementation is needed to meet the supposedly “balanced” nutritional standards set out by the Association of American Feed Control Officials (AAFCO). Feeding your puppy a fresh, whole food diet as soon as possible will decrease his risk of disease later on. Start right away. A transition period where you slowly introduce raw alongside kibble isn’t necessary. Just switch him and stop feeding that kibble as soon as possible. Don’t mix raw food with kibble. Kibble requires a different pH in the gut to digest, so mixing the two throws things out of whack and makes him more susceptible to the bacteria in raw food. He’s totally capable of handling this bacteria on his own if he’s strictly eating raw, but once you mix in the kibble, the food sits in his gut longer, making it harder to digest and allowing the harmful bacteria to build up. Start with one protein source. After his stomach and digestive system have become used to that source, add in another. And don’t forget the organ meat and bones. Feed your puppy 3 times a day at regular intervals. Feed organic to keep those harmful pesticides out of his system. Supplement his raw diet with things like phytoplankton (omega-3 fats), coconut oil (antibacterial and antifungal), colostrum (to boost him immune system) and pre and probiotics (to feed the healthy bacteria in his gut). Feed according to his weight. If he’s too thin, add more food to his bowl. If he could lose a few pounds, feed less. All puppies have intestinal parasites in their bodies from their mothers, but these worms are not something you need to worry about. It’s when he gets an infestation that you need to take action. That action, however, shouldn’t include chemical dewormers. 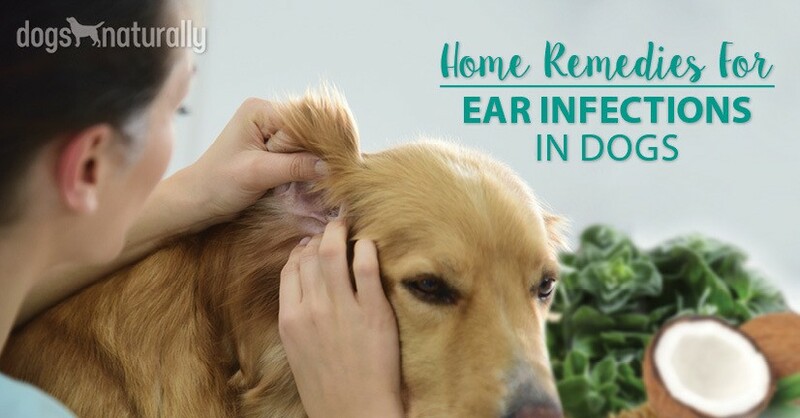 Chemical dewormers typically include ingredients such as fenbendazole, pyrantel and praziquantel which are known to have some serious side effects ranging from weakness and lethargy to anaphylaxis and death. Grated carrot, fennel or watercress make your dog’s intestinal tract less attractive to worms. Give at least ½ tsp of each per 10 lbs of your dog’s body weight, twice daily. Dried coconut can help eliminate tapeworms. Sprinkle 1 tsp per day on your dog’s food per day. Trace minerals (authentic sea salt) can help balance your dog’s gastrointestinal system. Add a pinch to your dog’s food every day. Apple cider vinegar will keep your dog’s system become alkaline, which will kill the parasites. Add up to 1 tsp to his food or water daily. Pumpkin seeds can prevent worms and also push them out of your dog’s system. Grind them up and mix ¼ tsp per 10 lbs of body weight into your dog’s food. Flea and tick meds are pesticides. They work by destroying the nervous system of these pests, but they also damage your dog’s nervous system at the same time! Every dog owner dreads fleas, but that’s not a good reason to put flea and tick meds on your puppy. Unless your puppy is really infested and in bad shape (anemic), skip these and go the natural route. Spray your dog with this every day before he goes outside. Make sure you get his belly, tail and legs. You can also use essential oils (diluted well in a carrier oil only) for prevention. Mix one drop of a flea repelling essential oil (lavender, lemon, peppermint or eucalyptus) into 1 milliliter of a thin carrier oil (grapeseed or coconut oil). During an active flea attack, bathe your dog with citrus Castile soap once a week followed by a final rinse with apple cider vinegar. For this rinse, use one part vinegar to ten parts water. Comb his coat from the top of his head to the underside of the tail, neck, underbelly and legs. Each week vacuum your carpets and floors, paying special attention to any places your dog hangs out. 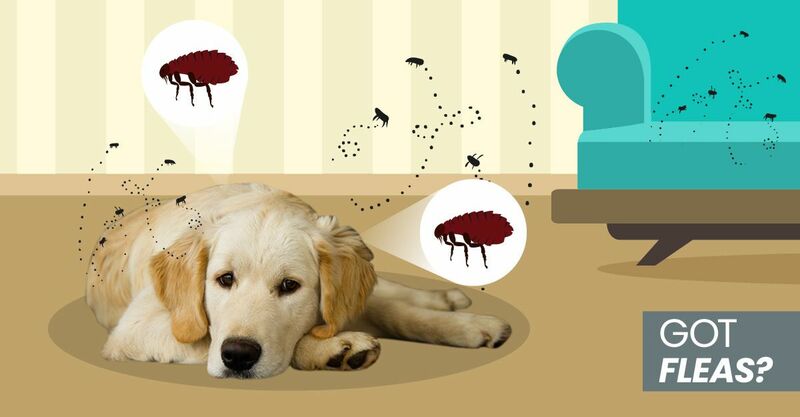 The flea’s entire life cycle, from eggs to larvae to pupae to adults, can be as long as several months, so you’ll need to keep repeating these steps to make sure the flea infestation is completely gone. As we all know, puppies are full of energy, often able to run around like mad for hours if given the chance. However, overdoing it can stress his joints, so you want to make sure you regulate that activity. Regular exercise will help him build his stamina to be able to handle much longer sessions as he grows. Remember, your puppy is a puppy. He relies on you to make smart decisions about his health and to keep him safe. Healthy choices when your dog’s a pup can make a huge difference as he grows and help give him a long and happy life. Raising a puppy takes work and often a lot of patience, but in the end it’s 100% worth it.